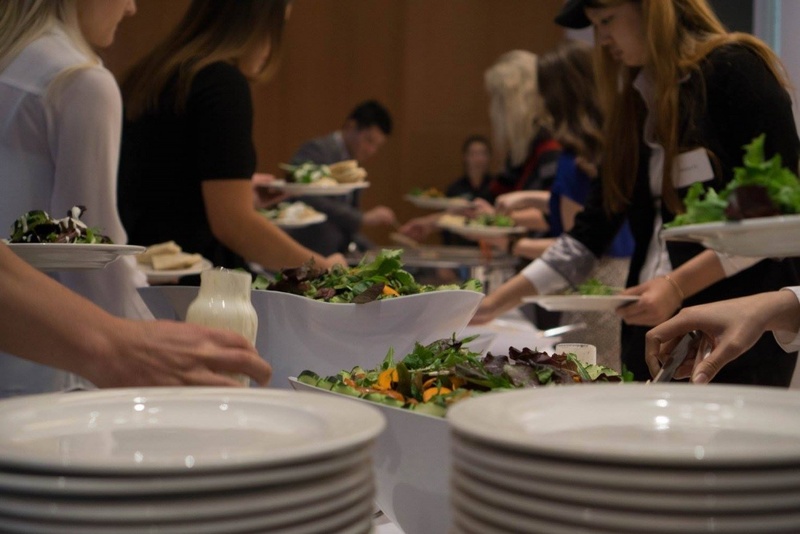 The UO’s International Business and Economics Club hosts its annual Black Tie Dinner — formerly known as the Etiquette Dinner — this Wednesday, May 10. Each year the event focuses on a new country, with guest speakers and region-specific cuisine. Attendees are able to enjoy a meal while networking with local businesspeople and learning about a new culture. Countries featured in the past include Greece, China and Brazil. This year, the focus is on Iran, chosen in part because of the large Persian community on campus, according to club president Emma Baker. Speakers include Arash Dayani, a doctoral student in finance at the UO; Farhad Bahram, a UO graduate student pursuing a master’s degree in fine art and photography; and Farhad Malekafzali, a UO political science professor. Dayani, who attended school in Iran before coming to the UO for his doctorate, has extensive experience in Iranian financial markets and will provide insights on Iran’s business environment. Bahram is originally from Iran and moved to San Francisco to attend the San Francisco Art Institute before moving his studies to Eugene. He will be sharing some of his artwork, which relates to his roots in Iran and his experiences as an immigrant in the United States. Malekafzali specializes in congressional-presidential relations in foreign policy. He will speak about how the West applies macroeconomic policies in Iran. Check-in will begin at 5:30 p.m. and the dinner will run from 6 p.m. to 8 p.m. It’s free to the public, but seats are limited, guests must RSVP online to ensure a spot. The dinner, which has been hosted by the International Business and Economics Club since its inception in 2006, will be held in the Giustina Ballroom, located on the first floor of the Ford Alumni Center. The dress code is business professional, and guests need to check in at the registration table upon arrival. In addition to the annual Black Tie Dinner, the club also provided the opportunity for 16 students to travel to San Francisco in March to make site visits at three different companies: Yelp, the websites that lets people rate various businesses; Gree, a heating, ventilation and air conditioning manufacturer and distributor; and HP Worldwide, a global leader in personal computer and printer sales. Any questions about the club or the Black Tie Dinner should be directed to Baker at ebaker4@uoregon.edu.